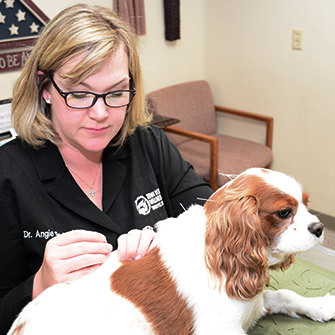 Iowa Veterinary Wellness Center originally opened its doors to pets and their parents in order to provide holistic care, chiefly veterinary acupuncture, to those in need. Acupuncture is an ancient Chinese medical technique that has been in use for well over 3,000 years. Acupuncture has been shown to increase blood and lymphatic flow to tissues, stimulate proper nerve function and increase the body’s ability to release natural pain relieving chemicals. Acupuncture is used to treat a vast array of diseases and maladies such as, but not limited to, orthopedic disease, neurological disease, immune system disorders and systemic disease such as kidney disease, liver disease and bladder problems. Acupuncture is a very safe treatment modality. Our veterinarians are certified in veterinary acupuncture and have been treating pets for years. Most people want to know: does it hurt? 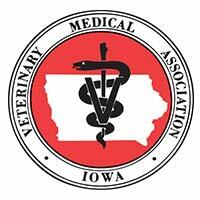 We here at Iowa Veterinary Wellness Center use a state-of-the-art laser unit for our acupuncture treatments. We rarely use needles as we feel that laser acupuncture is actually much more effective than dry needling techniques. So, no, it doesn’t hurt! Please call us to address any questions that you may have or to schedule an appointment for an acupuncture consultation and treatment!